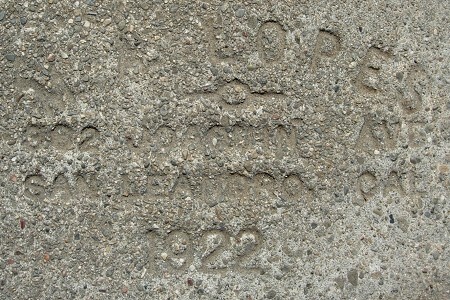 Finally I’ve found a dated mark by M. A. Lopes, who may or may not be related to the later Frank Lopes. I think of him as Lopes the Elder. 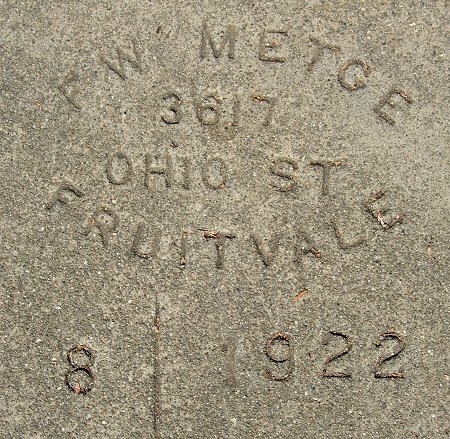 This old mark stands out in a neighborhood of much younger sidewalks. 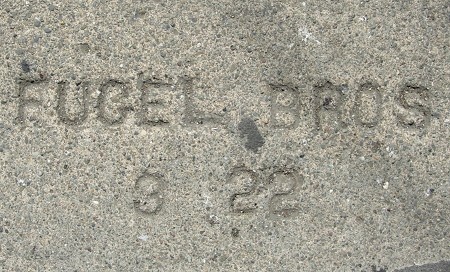 I have another 1922 mark by Fugel Bros., but it has the full date “1922” on it. 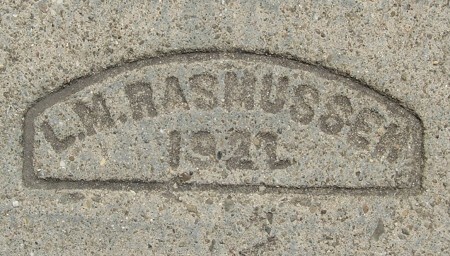 I think that Rasmussen’s earliest mark, from 1921, had all four digits cast in bronze. In 1922 he clearly altered the final 1 into a 2. After that, I think he eliminated the final digit from the mark. 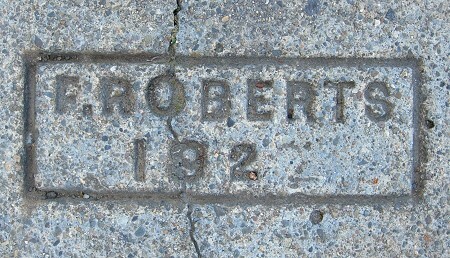 Every other F. Roberts mark in this neighborhoodand there are lots of themis from 1923. Probably the best example of this maker I’ve found. The homeowner was pleased when I showed him what I was doing. 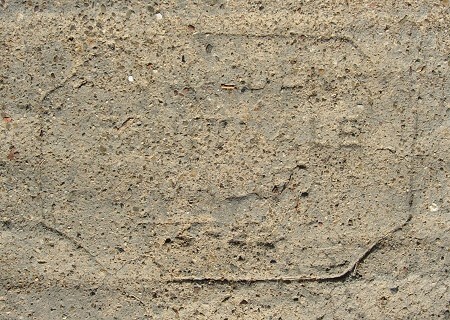 It’s a relief to have a high-quality example of this date from J. Ogden; my first example was pretty dodgy. 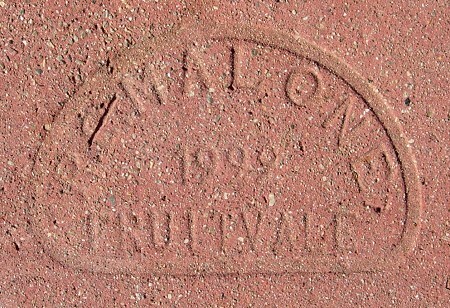 This is a clean, unbroken example of a mark I’ve found elsewhere.